MR.BOHO Sunglasses are the physical expression of how we see fashion. A continuous bet on generating products in constant evolution and always trying to reach the highest efficiency in order to be able to offer tight and competitive prices, respecting always high quality standards. However, this is not just about sunglasses that follow the trend at affordable prices, but it is also about a common attitude to show your own perspective. Bonnie Clyde® Eyewear was born in 2016 in a retired-movie-theater-turned-warehouse of Downtown Los Angeles. The designs find inspiration in the confident and playful—balancing striking palettes with unique forms and constructions. They aim to provide a channel for the endless waves of contemporary art & eclectic music that flow from within their city. WYETH is an independent eyewear brand based in New York City. Each style is handmade in limited quantities using high-quality materials that are sourced globally. WYETH Eyewear was founded by Stefanie Heleva in 2016. "I’m a big sunglasses wearer—you don’t want to see the size of my stockpile at home. So, designing sunglasses felt like something I could really savour and appreciate. It’s a totally new creative process for me and the first time I’ve made a consumer product, which is nerve-wracking but so exciting. I’ve really enjoyed working with the team at Kenmark to turn sketches and mood boards into technical drawings and hand pick every colour and detail. I feel really lucky to be able to personally design glasses that are both fun and well-made; it’s been great to work with such a reputable company, who ensure the standards of their producers and have helped me to make a high quality product that I’m proud to put my name on." Vera Wang has created a unique, aspirational world that alludes to sensuality and youthful sophistication. Exquisite details and a nonchalant sense of style represent the Vera Wang aesthetic. The Vera Wang Eyewear Collection is characterized by a modern take on light, form and structure using innovative techniques, all handmade with the highest quality craftsmanship. This capsule collection was created using the finest materials and tailored to complement the contours of the face. Driven by artistic, architectural and functional design, the Vera Wang eyewear collection reflects her fashion forward sensibility infused throughout both sun and optical collections. Zac Posen’s glamorous approach to design celebrates specific, meaningful craftsmanship and embraces sophisticated, dramatic beauty. His designs evoke Hollywood glamour and are acclaimed for their attention to detail, sculptural quality, and unsurpassed tailoring techniques. The Zac Posen Eyewear Collection exudes both an ode to eras past and a nod to modern American style. The women’s styles combine chic, feminine eye shapes with dramatic gestures and fine materials to enhance the natural beauty of a woman’s face. Monique Lhuillier’s eyewear designs capture the essence of sophisticated luxury, an aesthetic that has made her one of today's most influential designers. Inspired by her love of fashion, the Monique Lhuillier Eyewear collection blends effortless glamour with unexpected modern elements. Delicate patterns and rich colors contrast with elegant yet sporty shapes to capture the designer's sleek take on femininity. Crafted using the finest techniques and materials, the designer’s new collection of eyewear showcases the romance, sophistication and charm of the Monique Lhuillier brand. ZAC Zac Posen, introduced in 2013, is a collection of everyday clothing marked by Zac’s signature cut, detail, and innovation. With an eased sophistication, the collection offers accessible wardrobe staples that transition seamlessly from day to evening. ZAC Zac Posen features ready-to-wear, handbags, fine jewelry, eyewear, shoes and fragrances and is distributed in leading department stores worldwide. 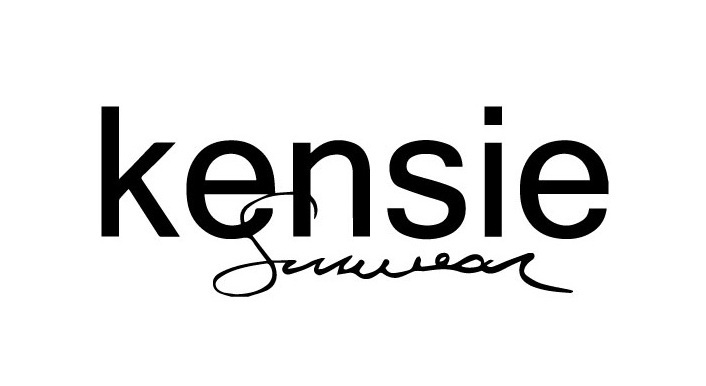 Known for its contemporary femininity and softness, kensie was founded out of Vancouver in 1994. Globally recognized for making international styling and quality accessible for today’s every girl. kensie offers its customer options for both work & play. The brand’s reach now extends to major department stores and boutiques across the U.S. and Canada and can be found in the pages of major fashion magazines and on style setters across the globe.